PHOTO: DENIS SINYAKOV, Reuters / NTB scanpixGreat atmosphere after the eurovision owner in Moscow in 2009. Fv: Karianne Kjærnes, Torkjell Lunde Børsheim, Alexander Rybak, Hallgrim Hansegård, Sigbjørn Rua and Jorunn Hauge. 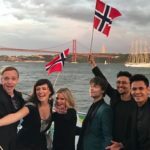 LISBOA (Aftenposten): In 2009, these five were together with Alexander Rybak on stage when he won the Eurovision Song Contest in Moscow. Now they hope for a repeat. 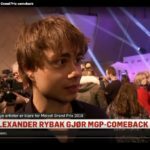 On Wednesday, Alexander Rybak conducted his first two general tests before Thursday’s semi-final. Five who cheer extra on Rybak from the sidelines home in Norway are the Frikardans Hallgrim Hansegård, Sigbjørn Rua and Torkjell Lunde Børsheim.Together with the coronaries Karianne Kjærnes and Jorun Hauge, the five experienced the Eurovision adventure close when Rybak became Norway’s third Eurovision winner in 2009. 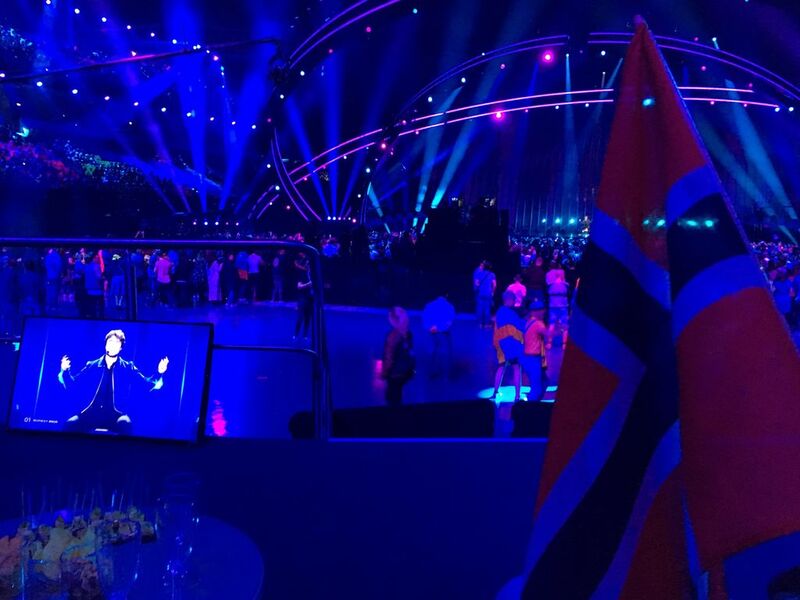 “During the finals, I remember the view of the Norwegian supporters in the first row, quite wild and with Norwegian flags. It gave a solid boost! During the poll, we did not go to pee because it was 12s all the time and we had to be in front of the camera. I have never experienced anything like the boiling in the hall since then “she said. Hauge has no doubt that Rybak can copy the effort from 2009. “He has crazy radiance, sings well, has wonderful dancers and corors with him, and if he also uses the flirtet trick to bite a bit in the lower lip … then victory is in a box,” she says. Hallgrim Hansegård choreographed “Fairytale” in 2009. He remembers a Rybak who was genuinely interested in choreography. “He saw the power the choreography could have for the stage show. As such, he was both a star and a team player. It is impressive in an industry where dance “must” be back dancing. While he could be in his own world outside the stage, he was very excited when he was on stage, says Hansegård. Rybak and Frikar toured 20 countries after the Eurovision owner in 2009. Since the collaboration with the Valdres dancers, Rybak has continued to build the audience in Eastern Europe. “This is a good foundation when he comes with a slightly different song, which also creates a party atmosphere,” says Hansegård. 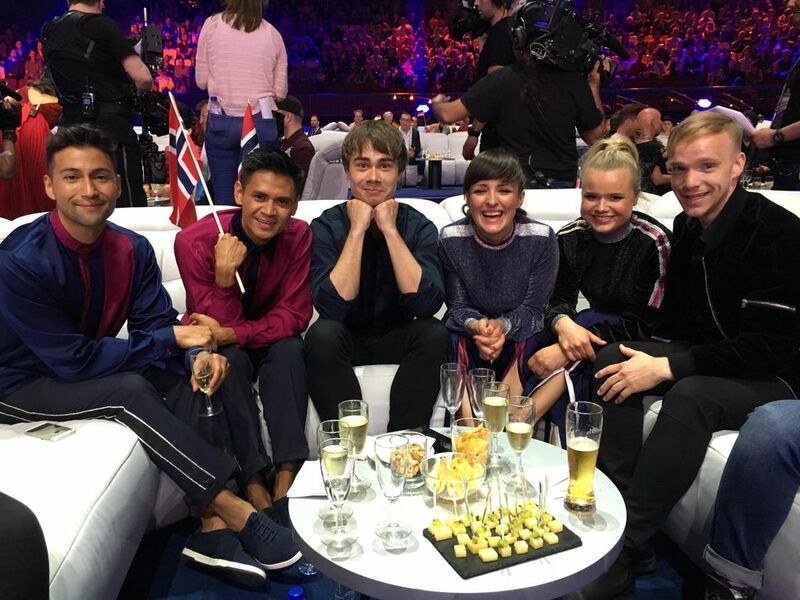 A little bit dark Alexander Rybak deliberately chose to stay a little again during the regular test Wednesday afternoon. The Korist Karianne Kjærnes believes it is unnecessary to give Rybak advice before the evening’s semifinal. – He’s through the pro. He was in 2009 and he is now. He knows for sure some nerves, but that’s just fine. It makes the appearance not blurred, but genuine and charming, says the artist. She believes Rybak wins the competition because he has a stage personality that one can only dream of. Even she has only good memories of the Moscow owner. “We really enjoyed looking forward to the song. When victory was a fact, everything became a bit blurry and deliciously chaotic. It was only when we returned to Norway that it seemed to me how big this had been. I still get chills when I think about this experience, she says. Frikardancer Torkjell Lunde Børsheim thinks it’s fun that Rybak has made Eurovision comeback. “It’s clear that he likes the stage. My advice is therefore: Trust yourself, the gang you have with you and all the hours they’ve gotten on the number. It’s going to be absolutely amazing, he says. Lunde Børsheim describes Rybak as an artist with great span in what he is doing, impressively clever and concerned with the little details. “I think Alexander wins because he makes a good show, has a catchy song and a big fanbase in Europe,” he said. 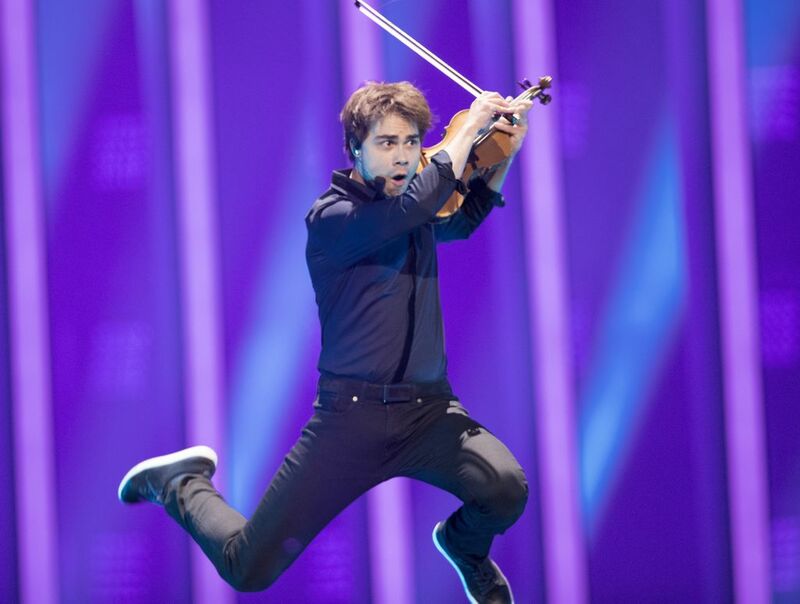 In 2009 Alexander Rybak had three dancers and two cores. This year he has chosen dancers as well as choirs. Should Rybak win the final of the Saturday, he must first qualify in the semi-final of the Thursday. The first two general tests Wednesday he deliberately chose to hold a little back. – The first general test must be called a steady implementation, but one where the protagonist was still slightly affected by having been very ill in the run-up.It seemed, at least, that he stopped and saved the voice in several parts of the song, “says the evening post’s music critic Robert Hoftun Gjestad. He believes Rybak still has a lot to go on. 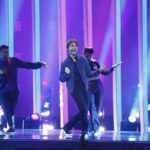 “Otherwise, things worked vigorously and good, and Rybak’s important timing with the digital effects put on the TV show was far better than in the Norwegian finals in March,” he said. 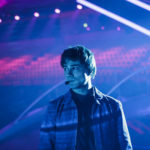 Just after 21:00 on Wednesday night, Rybak and his team went on stage to conduct the second general test before Thursday’s semi-final. 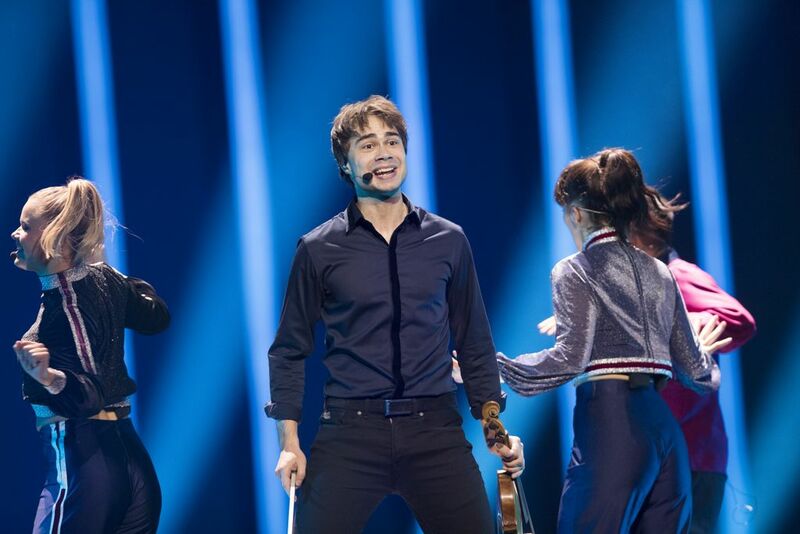 Alexander Rybak and his team in action Wednesday night. – «That’s how you entertain people». Sharp delivery from Alexander and his dream team on stage. Huge response from the audience in the hall. This will be very exciting, says Stig Karlsen, music director for MGP in NRK. The protagonist himself was brilliantly pleased. “I feel we did a very good trial and I’m proud of what we delivered. A good start, says Rybak. Great atmosphere in “Greenrooom” after another general test was taken for the Norwegian contribution.